*Disclaimer: All flight status times listed above are estimations of arrival and departure dates & times. 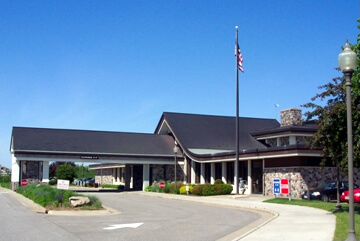 The Rhinelander-Oneida County Airport (RHI) serves a vast area encompassing northern Wisconsin and Michigan�s Upper Peninsula. It is an essential conduit, connecting the region to the nation and world, vital to the economic well-being of its citizenry and their quality of life. RHI is served by Delta Air Lines with passenger service to and from the Minneapolis-St. Paul International Airport. Air freight is flown by carriers on contract with FedEx and UPS. The airport also supports military and medical flights, general aviation, on-demand charter, flight instruction, aircraft rental and maintenance. Disclamer: The information contained in this website is for general information purposes only. The information is provided by Rhinelander - Oneida County Airport and while we endeavor to keep the information up to date and correct, we make no representations or warranties of any kind, express or implied, about the completeness, accuracy, reliability, suitability or availability with respect to the website or the information, products, services or related graphics contained on the website for any purpose. Any reliance you place on such information is therefore strictly at your own risk. The inclusion of any Company, Firm, or Agency does not necessarily imply a recommendation or endorse of those Companies, Firms, or Agencies by the Rhinelander - Oneida County Airport, its owners, commission, or employees.